Over/Under: Over 143.0 at 1.90 Bet Now! It was a great win for the hosts on Wednesday but the game did go down to the wire, which means that you can’t rule out Barcelona for this game. With a bit more composure, the Catalan club could have seen the game out, so this is something to bear in mind when the two teams clash again on Friday evening. The 8-0 scoring run late on saved the day for Lokomotiv but they’ll take great confidence from winning their first ever Euroleague playoff match. Of course, that late effort would have taken a lot out of the winning side on Wednesday so it remains to be seen how much they’ll have left in the tank for Friday night. That could be a factor but then again, the adrenaline of that win, the roar of the home crowd and the knowledge that they could take a 2-0 lead to Barcelona next week is sure to be a big incentive for Lokomotiv on Friday night. 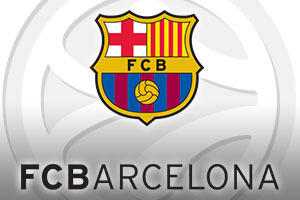 The late nature of the defeat will be painful for Barcelona but they need to take the positives from the loss. If the team was able to hold on for four more minutes, they would have grabbed an away win that could have turned the flow of the tie. With Pau Ribas and Justin Doellman both grabbing 13 points, the Catalan side knows that they can grab points and put their opponent under pressure, they just need to do the same on Friday night. One issue for Barcelona was the injury picked up by Joey Dorsey and if he is out, Ante Tomic and Samardo Samuels will be required to do more work to make up for his absence. 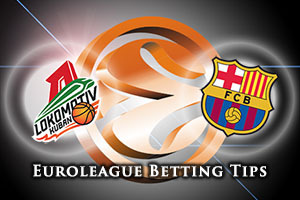 The bookies once again think it’ll be close with the hosts just edging it, so look at FC Barcelona Lassa at +3, which you can find at odds of 1.90. For the Over/Under market, look to go OVER 143.0 at odds of 1.90 for this big clash on Friday night where both teams have everything to play for. Bet Now!